HALF PRICE APPLICATION FEE: Bespoke Lettings present this well presented first floor flat, situated within easy reach of local amenities. Bespoke Lettings are proud to present this well presented first floor apartment situated in a quiet location within easy access of Nantwich town centre. HALF PRICE APPLICATIONS. 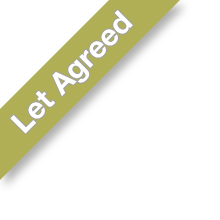 Bespoke Lettings present this well presented furnished property, ideally positioned for the town centre and situated in a quiet cul-de-sac location, Bentley Motors and Leighton hospital.